PETITION!! Make The Governor Of Irtusk Region Resign For Brutal Killing Of Hibernating Bear!!! 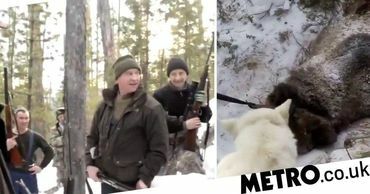 Sergey Levchenko, the governor of the Irkutsk Region must resign, he killed a bear that was hibernating, severely shot in the head!! Trying to get the correct link now!! Russian links are always weird!!! Signed earlier and now noted.